See the scenes from MoPOP where we celebrated all of this year's winners. 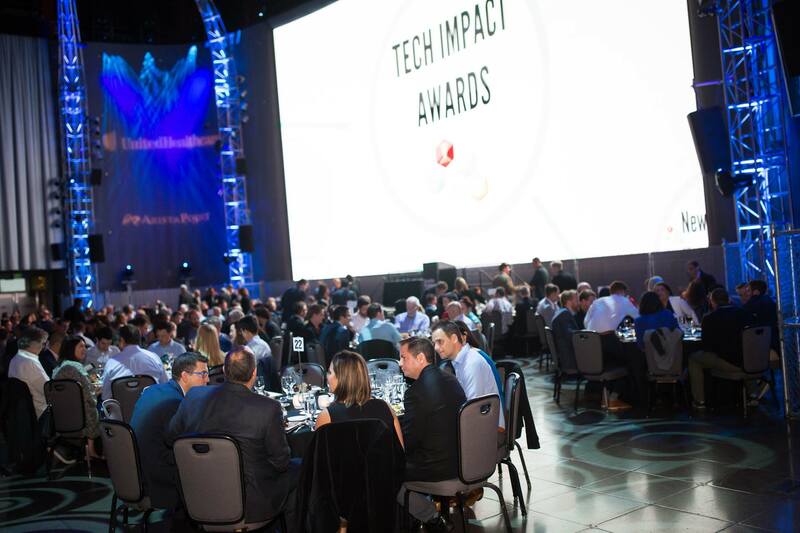 Sponsored by UnitedHealthcare, AristaPoint and Perkins Coie, this year’s Tech Impact Awards shined a spotlight on 19 companies and leaders in the Seattle region’s booming industry. From Blue Origin charting course for outer space to F5 Networks guarding against online threats to companies large and small, these companies are breaking new ground in their industry and playing an important role in our local economy. Watch the video below from the event, held for the first time at the Museum of Pop Culture. You can learn more about the winners here, and more about the 2017 lifetime achievement winner, Steve Singh, here. Interested in nominating your company for the 2018 awards? Get in touch with us.